At an altitude of over 4,800 metres above sea level in the Peruvian Andes stands a monument. It is emblazoned with the following inscription in both Polish and Spanish: "Ernest Malinowski 1818-1899. Polish Engineer. Peruvian Patriot. Hero of the Defence of Callao in 1866. Builder of the Central Trans-Andean Railway." Malinowski was born in Poland in 1818, and came to South America at a time when Spain was trying to cling on to some of its last colonies. Considered a hero in the Battle of Callao in the Chincha Islands War, Malinowski helped the Peruvians maintain their sovereignty in the country’s time of need. Malinowski would go on to further Peru’s development by building the 'railroad in the clouds': the Central Trans-Andean Railway. Just how did this Polish man become such a hero in Peru? In 1812, Malinowski’s father Jacob fought for Napoleon during the Russian campaign. Ernest, one of Jacob’s four children, was born six years after this in the Russian partition of Poland. In 1830, Jacob Malinowski chose once again to fight against the Tsars – he joined the November Uprising, a Polish rebellion against Russian rule. After the uprising was defeated, he had to leave partitioned Poland. He went to Dresden with his son, Ernest’s brother Rudolf. Ernest soon joined them there. The family eventually went to France where they settled, and Ernest would never move back to his fatherland. The November Uprising would come to play an important part in Malinowski’s life – had it not been for his father’s participation in the rebellion, he might never have come to Peru. In France Ernest Malinowski studied at the prestigious National School of Roads and Bridges. After graduating in 1838, he started to work as an engineer building railroads near Paris. Later he went to Algeria where he worked on building roads and ports. After returning to France, he participated in many engineering projects there until 1852. That year he moved to Peru where, according to a six-year contract he signed, he was to build roads, bridges, and provide technical education. Malinowski ended up doing far more than that and stayed much longer than planned. In Peru, apart from opening a technical school and building railroads, he helped carry out monetary reform, worked on the rebuilding of the war-devastated town of Arequipa, and, last but not least, saved the country from the Spaniards by winning the battle of the port of Callao. It was 2nd May 1866 when Ernest Malinowski stood on an embankment of the Santa Rosa fort in Peru’s Pacific Port of Callao, commanding the artillery units that were firing at the mighty Spanish war fleet – the armada had sailed to South America on a mission to recapture former Spanish colonies. Malinowski knew exactly what he was doing because he had designed the fortifications of this port himself and prepared its defence. Before the battle, he ordered a number of cannons to be camouflaged and mounted on mobile platforms. When the Spanish ships came close to the port, they were hit by artillery fire that the crews never expected. All of the invading vessels were damaged, and Peru and its South American allies won a great victory. Ernest Malinowski was the architect of this triumph. For defeating the Spanish, he was given honorary citizenship of Peru and the title of national hero for the country. After that victory, Malinowski became famous in Peru – but the 1866 triumph wasn’t the last great feat Malinowski performed for the country. 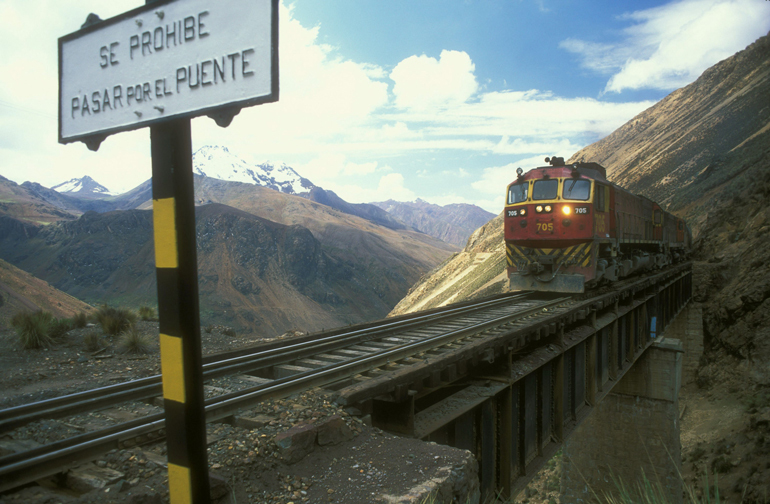 In 1868, the Peruvian Congress opened a tender for the building of a railroad in Peru, connecting the Andes with the Pacific coast. It was won by American investor Henry Meiggs, who entrusted Malinowski with designing this railroad. When the Pole first presented his design, some thought it was impossible to realise. Building a railroad with complex bridges and tunnels at altitudes exceeding 4,000 metres above sea level seemed like too much of a challenge to certain people. Nevertheless, the design was accepted by Peru’s president, Manuel Pardo, who, unsurprisingly, was a personal friend of Malinowski the war hero. Work on what was to become known as the Central Trans-Andean Railway commenced on 1st January 1870. The railroad’s first section connecting the port of Callao and the town of Chinola, located at 4,100 metres above sea level. It took eight years to complete. The second section, which was finished in 1893, extended the line to the town of La Oroya. By then the railway in question was 218 kilometres long and the impossible had been realised – Malinowski had built the highest altitude railway in the world. The Central Trans-Andean Railway held that record for over a hundred years. After Malinowski’s death in 1899, work to extend the line continued. The railroad, which includes dozens of bridges and tunnels, was completed in 1908 when it reached the town of Huancayo, becoming 346 kilometres long. 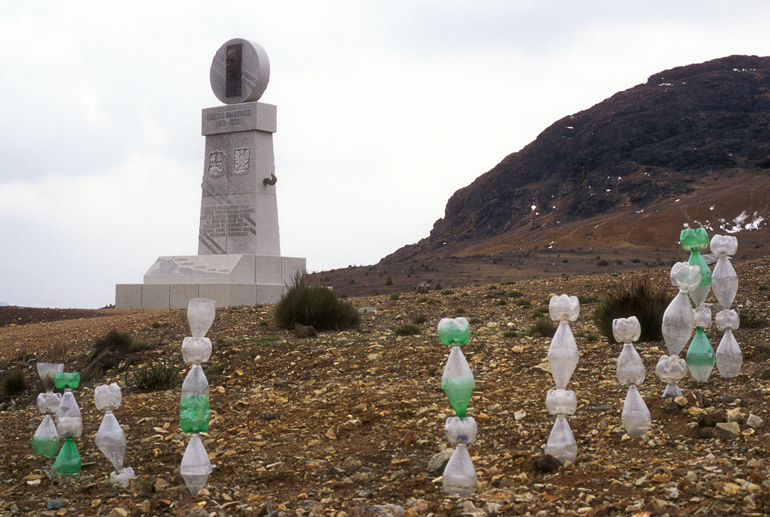 In 1999, on the 100th anniversary of Malinowski’s death, a memorial to the Polish engineer was erected at the Ticlio pass in the Andes, where, at an altitude of 4,818 metres above sea level, the Central Trans-Andean Railway reaches the line’s highest point. A fitting tribute to the man who gave his utmost to his adopted country.